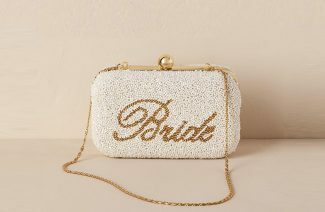 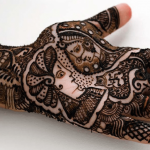 It is unjustifiably wrong to assume that only brides are the center of attention and the groom is paid not much heed. 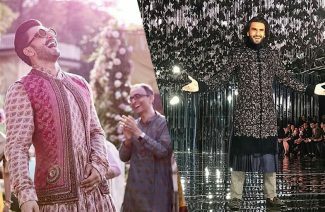 Both the bride and groom will be receiving equal spotlight because it is their big day. 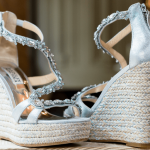 The most special day in a couple’s life is their union. 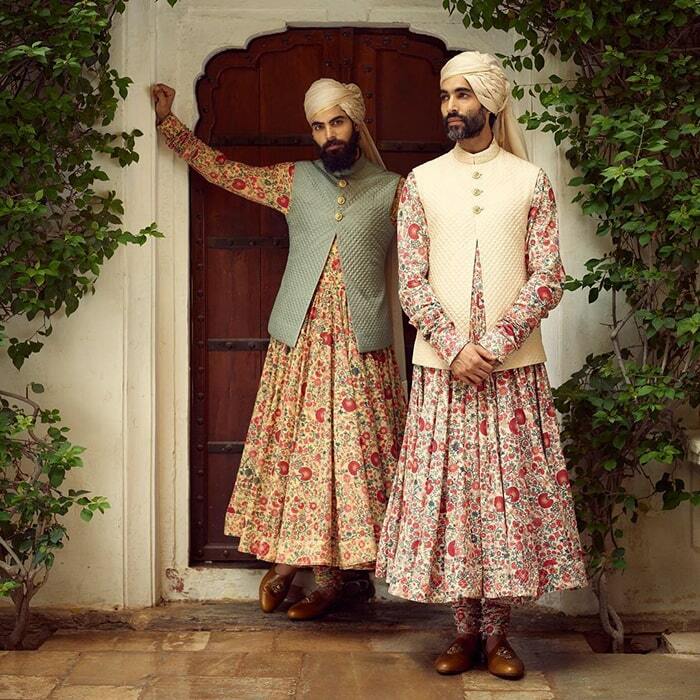 Every couple dreams of a beautiful ceremony that is filled with love and exquisite vibes. 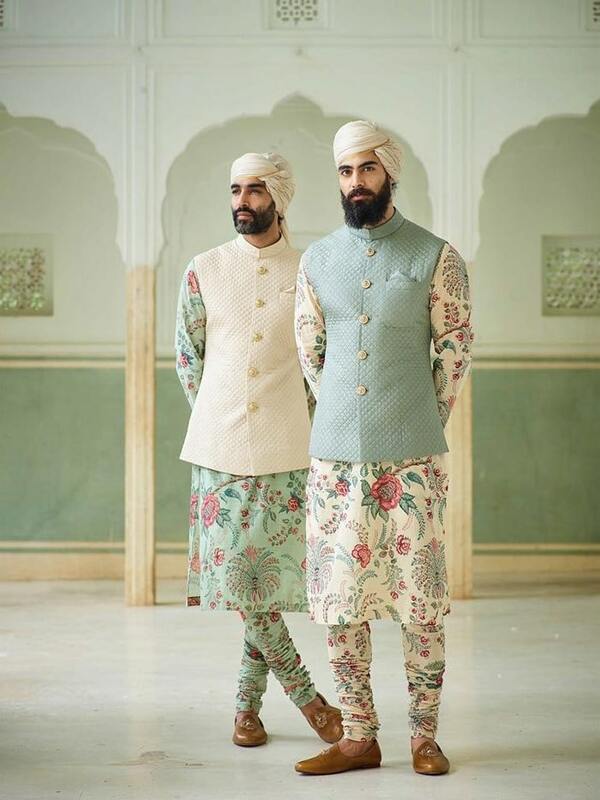 Groom’s style and fashion is as significant as a bride’s. 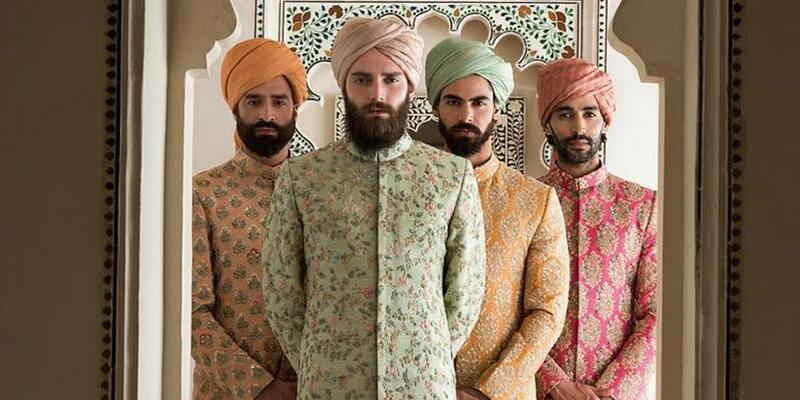 We totally understand how exhausting can it be for the groom to find the ensemble that completely represents him. 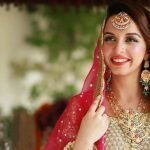 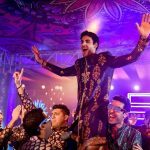 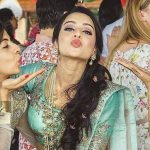 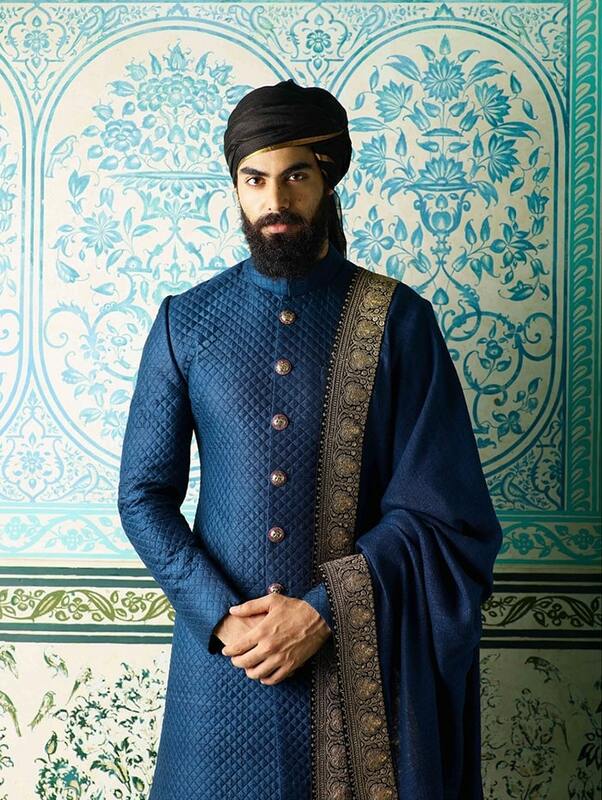 We have dedicated this blog to the groom fashion because grooms also need wedding fashion inspirations for their dream day. 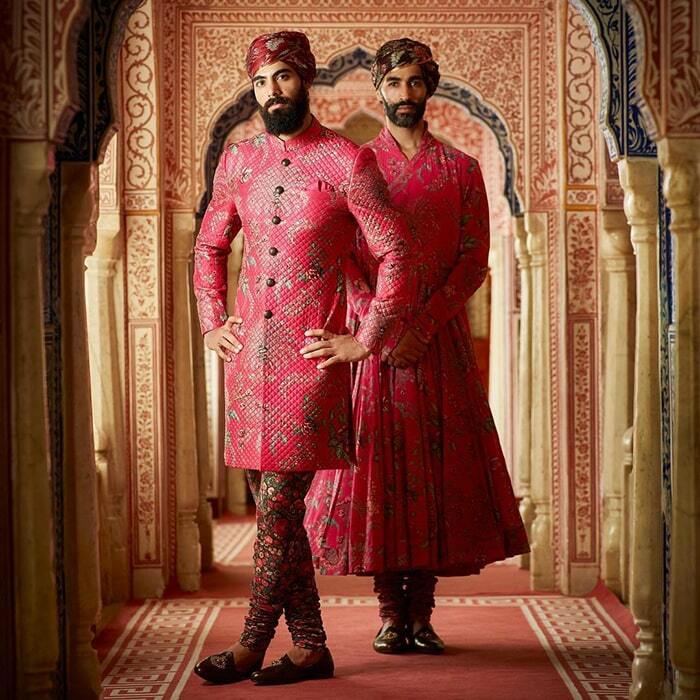 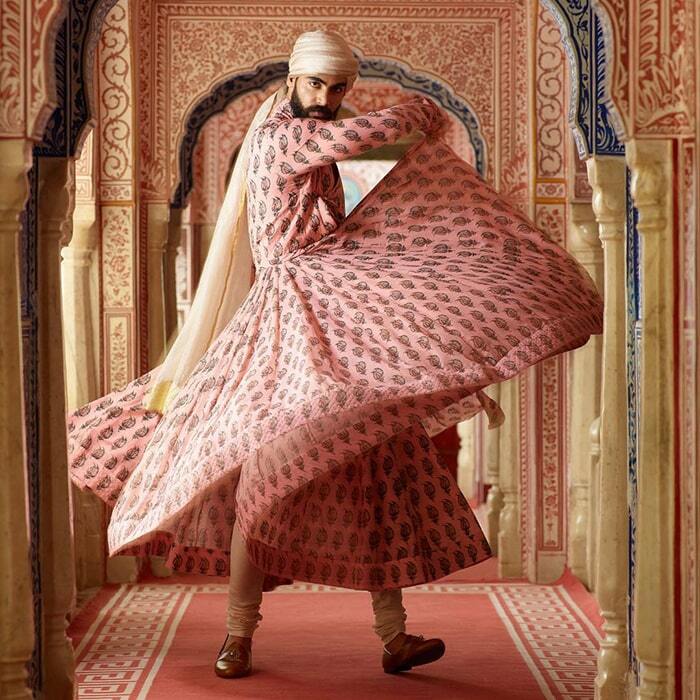 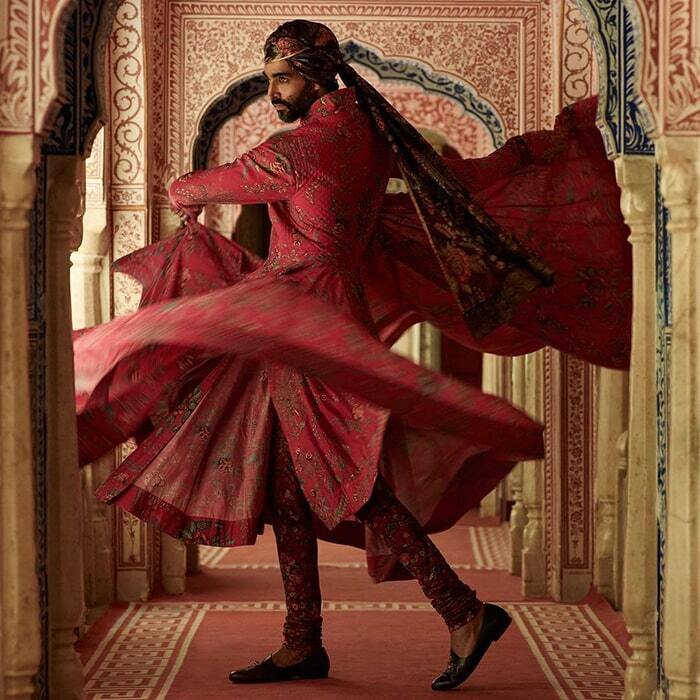 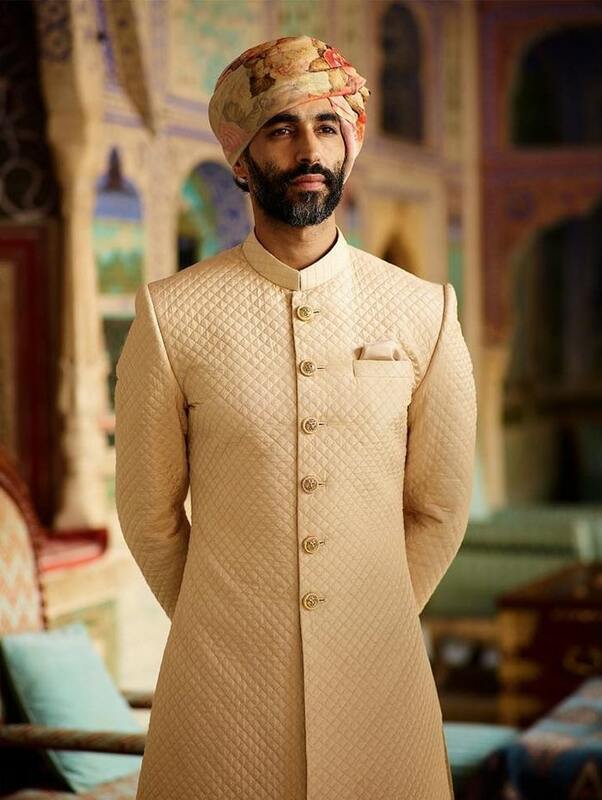 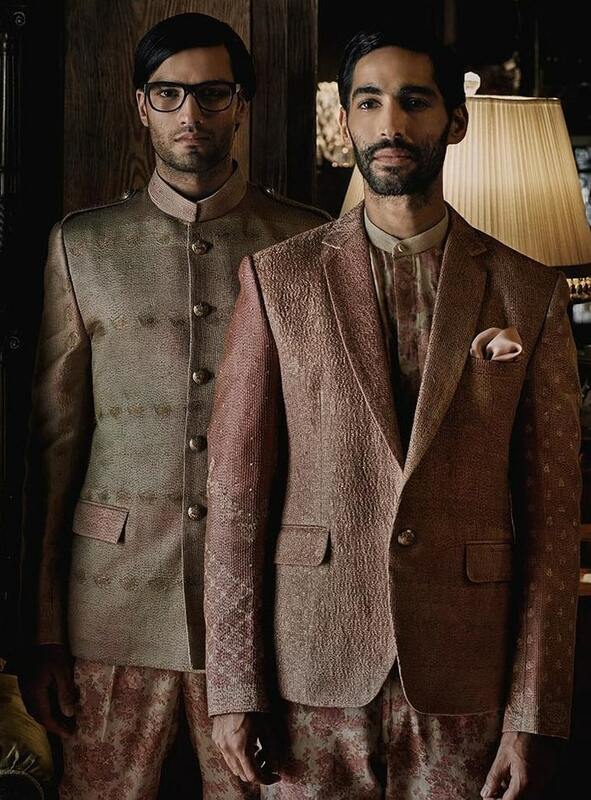 For that matter, Sabyasachi’s wedding collection has much to offer for the modern and trendy grooms. 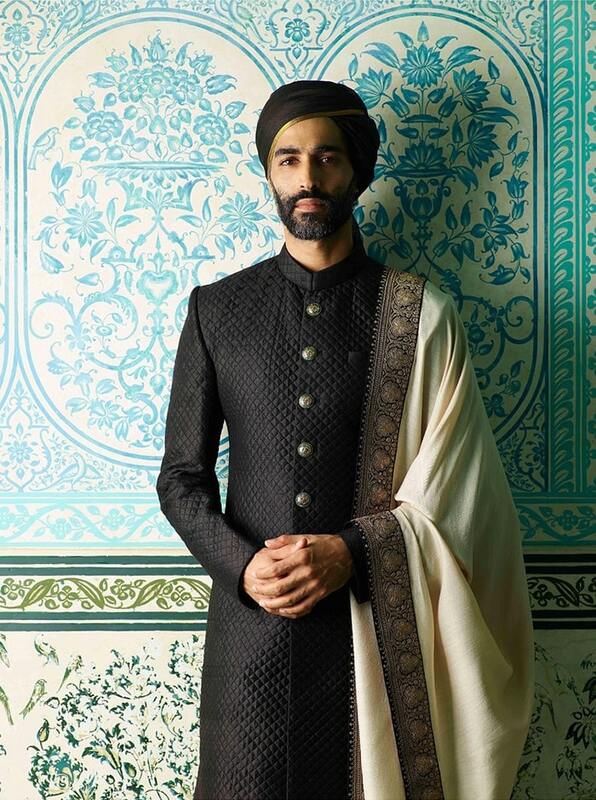 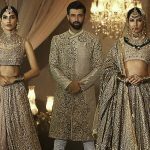 Whether it is sherwani embellished with delicate and exquisite design work or angrakha made to perfection from every aspect, whatever it is you are looking for, Sabyasachi has it. 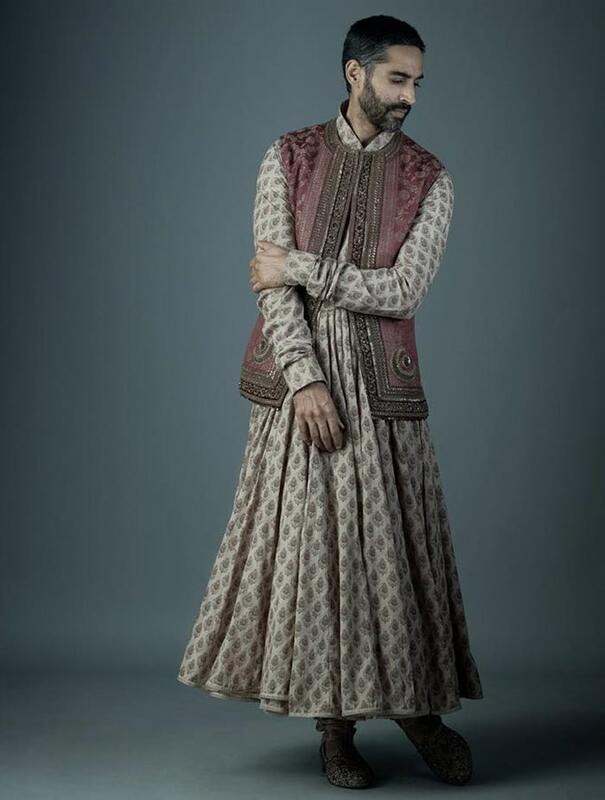 The designer uses both rich and muted colors, patterns inspired from history and designs which is fit for the Mughal in you. 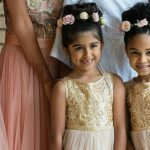 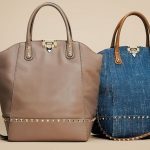 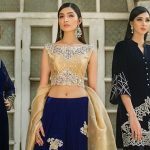 Keeping in view the latest fashion and trends, these stunning ensembles are heavenly bejeweled with motifs and threadwork. 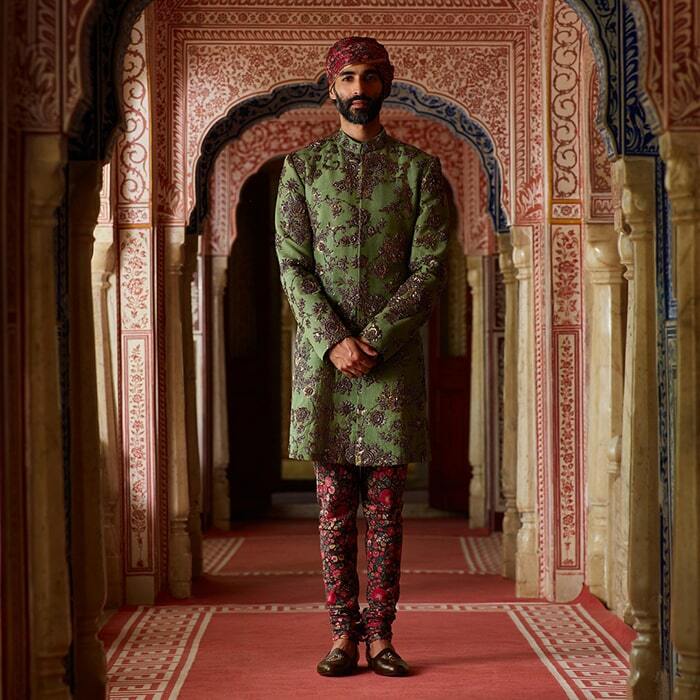 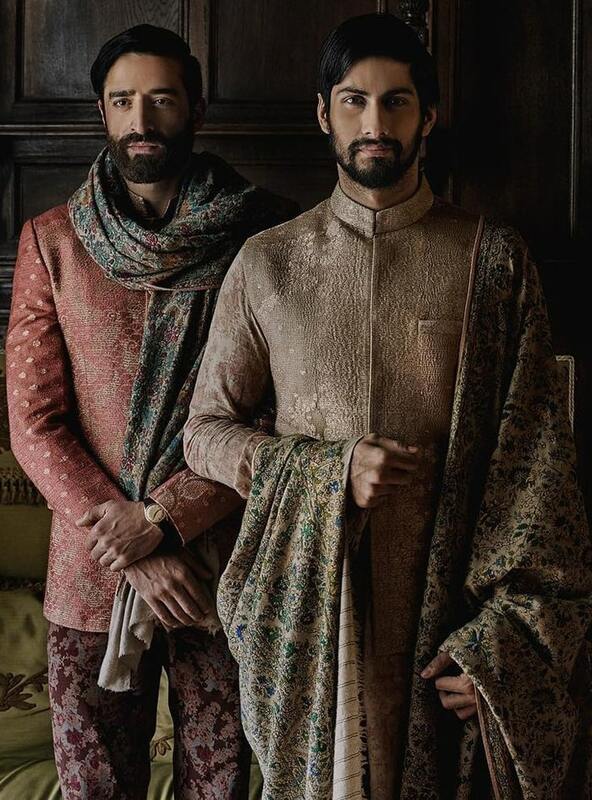 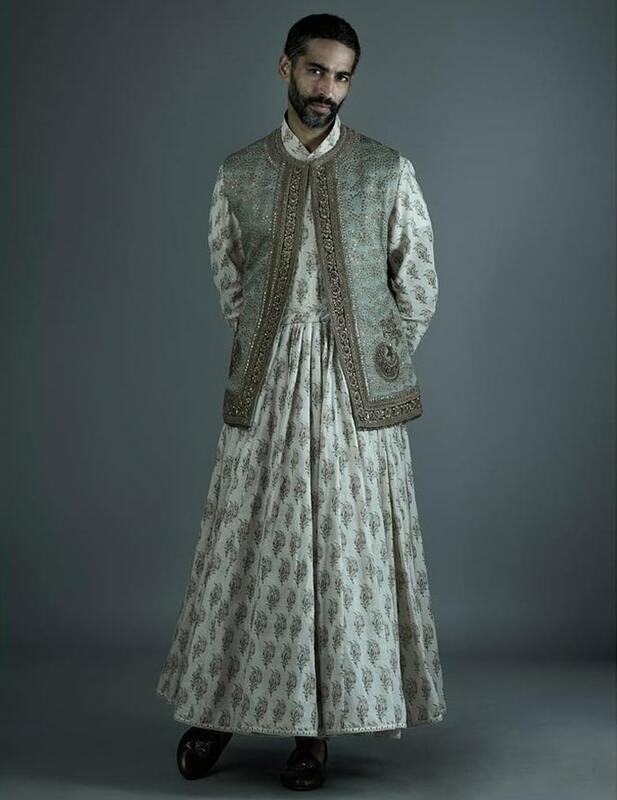 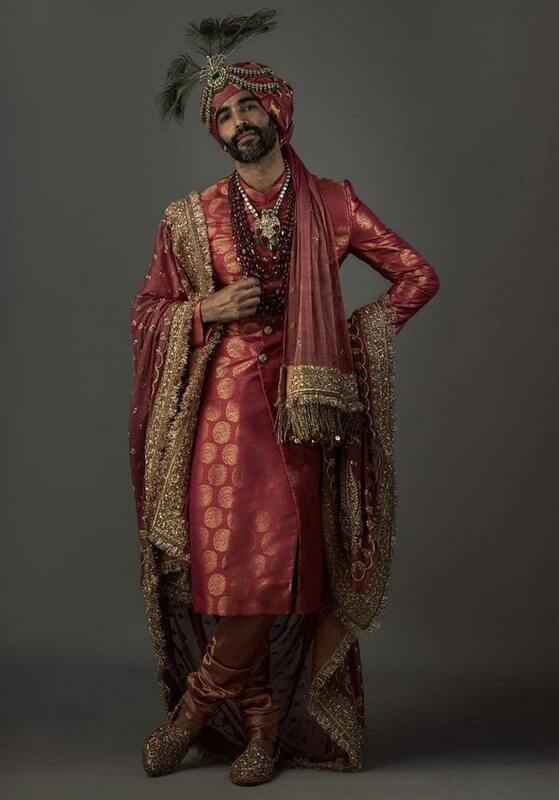 Indeed, Sabyasachi Mukherji has reshaped the traditional groom’s fashion by introducing historic designs and fabrics to give each piece an unprecedented vibe. 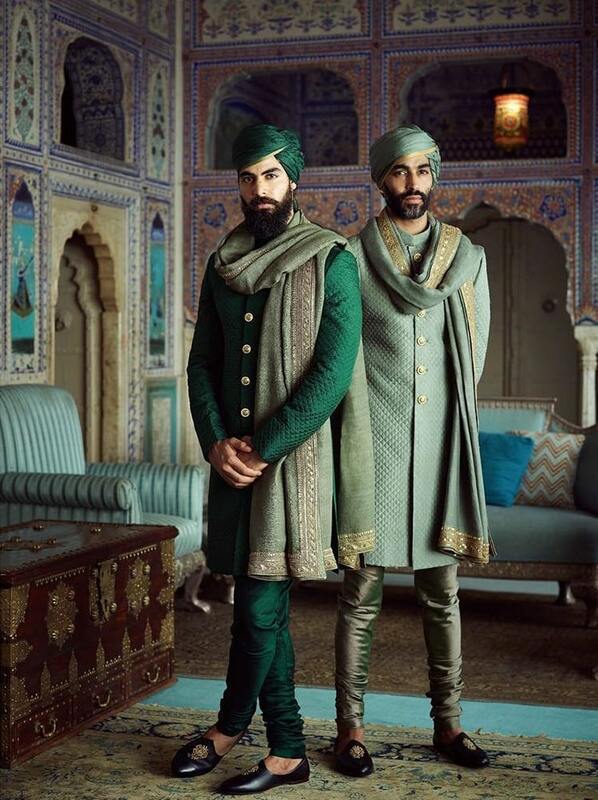 He mixes both historic and modern cut to create a masterpiece for the grooms who are looking for something unique and extraordinary. 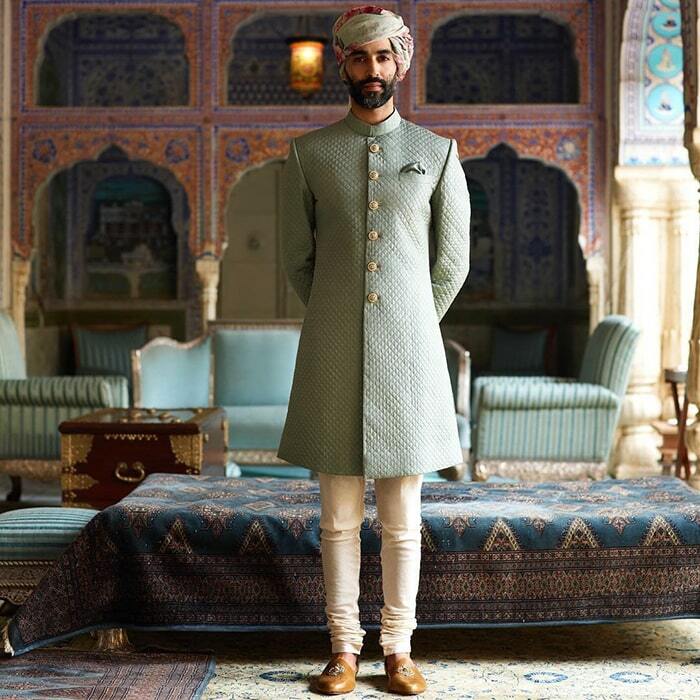 Grooms, if you want something that is well-crafted while keeping the customary values alive then Sabyasachi’s groom wear collection is for you. 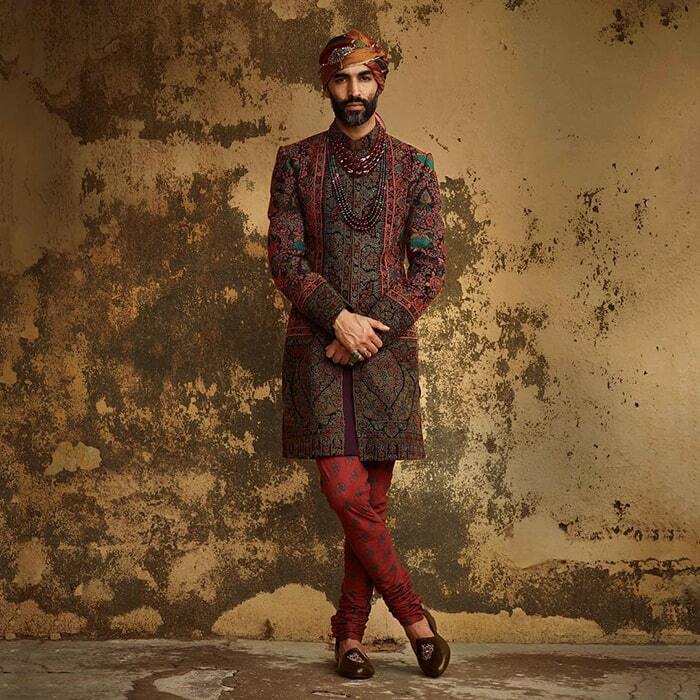 Choose the ensemble that brings out the royalty in you. 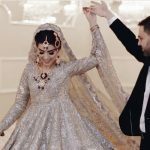 Every couple dreams of a beautiful ceremony that is filled with love and exquisite vibes. 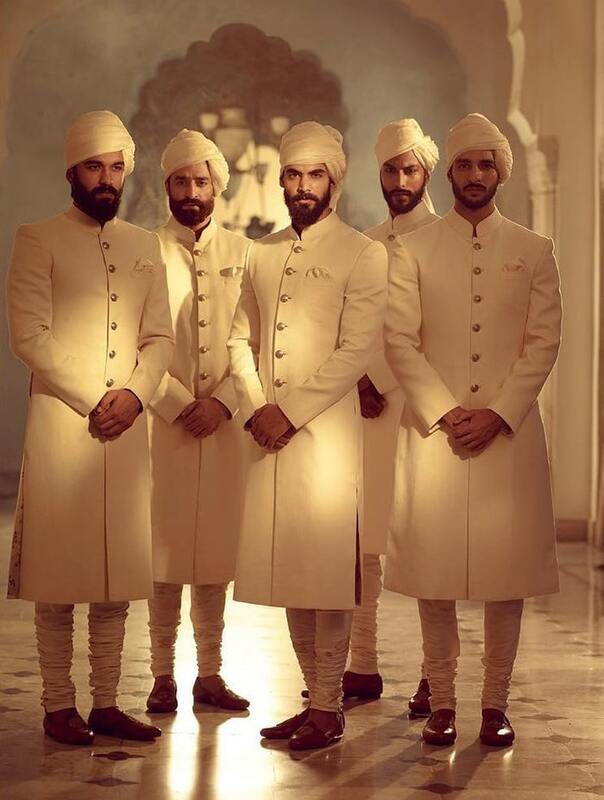 Groom’s style and fashion is as significant as a bride’s.